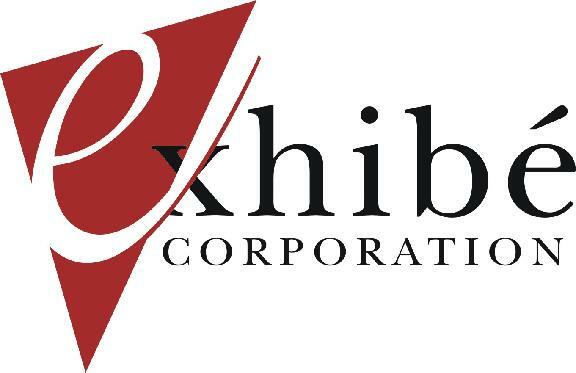 Exhibe Corporation has recently joined the distribution channel of Nimlok Displays. This is great news for the potential and loyal customers of Exhibe Corporation in the region of San Diego County. The partnership is very exciting for Exhibe, joining a chosen group as one of the few local distributors in San DiegoNimlok Displays of the product line of Nimlok. This has provided Exhibe Corporation with the opportunity to access fully all the display products of Nimlok Display such as modular displays, rentals, custom exhibits and a whole lot more. Exhibe Corporation prides itself on having not just high quality but economical trade show products and services. Customers are assured that it will remain a staple even with dealer partnership of Nimlok Displays. As a matter of fact, this has enabled Exhibe to provide its customers with a wider selection of products while keeping their dedication to quality and excellence. As a Nimlok dealer, Exhibe has allowed its customers to experience a number of benefits such as access to more modular displays, wider display product inventory, access to the highly popular trade show rentals of Nimlok, new custom exhibit designs, assistance and help while exhibiting overseas and prompt response time on quotes. Exhibe chose Nimlok for a number of reasons. For one, Nimlok is a recognized and well-established company with presence worldwide. The company has more than 40 years of trade show display manufacturing experience. They’ve earned great reputation as a reliable manufacture of some of the most innovative, unique and excellent trade show booths that can be found in the market today. Exhibe strives to offer nothing less than the best for their customers and so they take pride in providing authentic Nimlok custom display products in the entire area of San Diego County. During the production process Nimlok and Exhibe Corporation make every effort to eliminate waste and produce environmentally friendly trade show displays and graphics. Some of the products and services they offer designed with recycled aluminum and biodegradable print media and ink. The even have an extensive trade show exhibit rental catalog that not only saves you money but helps keep the environment clean. These are just a few of the many reasons why it has been a smart decision for Exhibe Corporation to partner with Nimlok Displays. Exhibe Corporation feels that their partnership with Nimlok will simply allow them to serve their customers better and that is their main goal. All of its customers are surely excited about this recent partnership and they are encouraged to visit the San Diego location of Exhibe Corporation. Customers who are eager to know and learn more about the dealer partnership and Nimlok products can visit their website at http://www.exhibe.com/nimlok-trade-show-displays.htm or call for more info 1-800-725-5893. To sum it all up, the partnership between Exhibe Corporation and Nimlok Displays is beneficial to every party involved. Exhibe Corporation gets full access of all the products and services that Nimlok offers, in addition to great customer service and exceptional quality. Nimlok gets a well established custom exhibit house showcasing their products and services throughout the San Diego County.